If you’ve visited Manulife Centre recently, you will have noticed that our new façade is taking shape and there are many new spaces cropping up along Bloor Street, as well as inside. In addition to Indigo’s beautifully redesigned store and the state-of-the-art new BMO branch that opened earlier this year, here’s some of what you have to look forward to in 2019 at Manulife Centre. 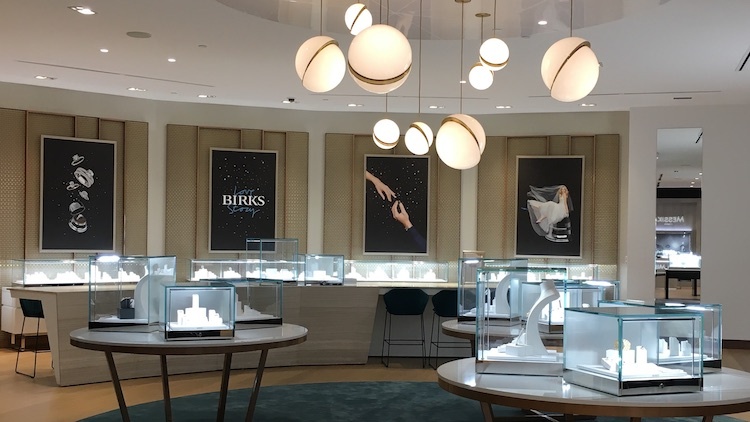 Birks has officially moved from their temporary location at Bay and Balmuto to their sparkling new location at the corner of Bay and Bloor. Housed behind out new glass façade, this new store contains all of your favourite brands including Birks’ own collections alongside elegant yet modern décor and a show stopping video screen at the entrance. 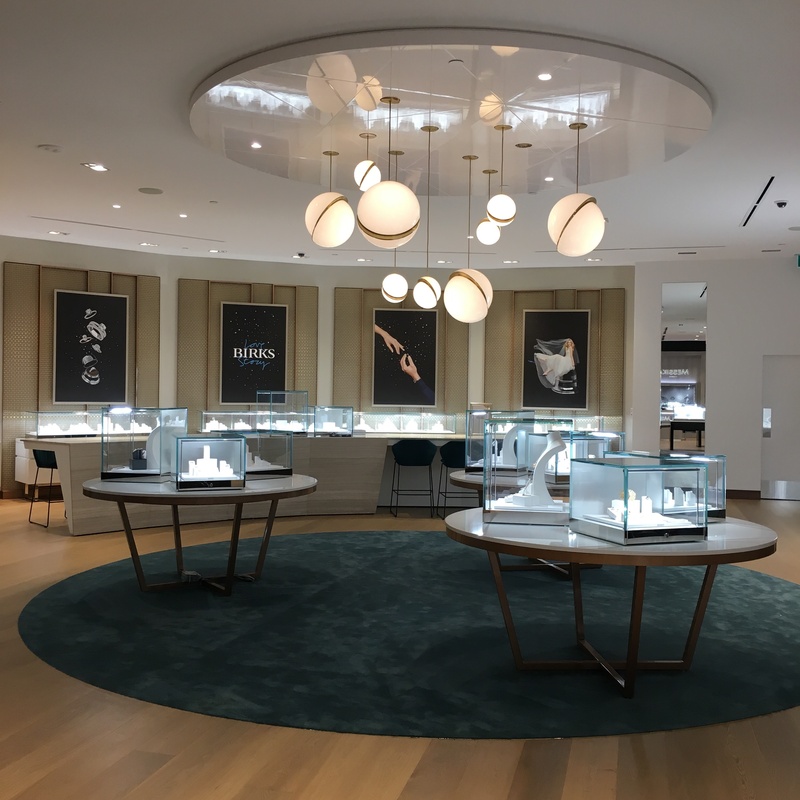 Attached to Birks is now one of Canada’s few VanCleef & Arpels boutiques, so this new location is really two stores in one! 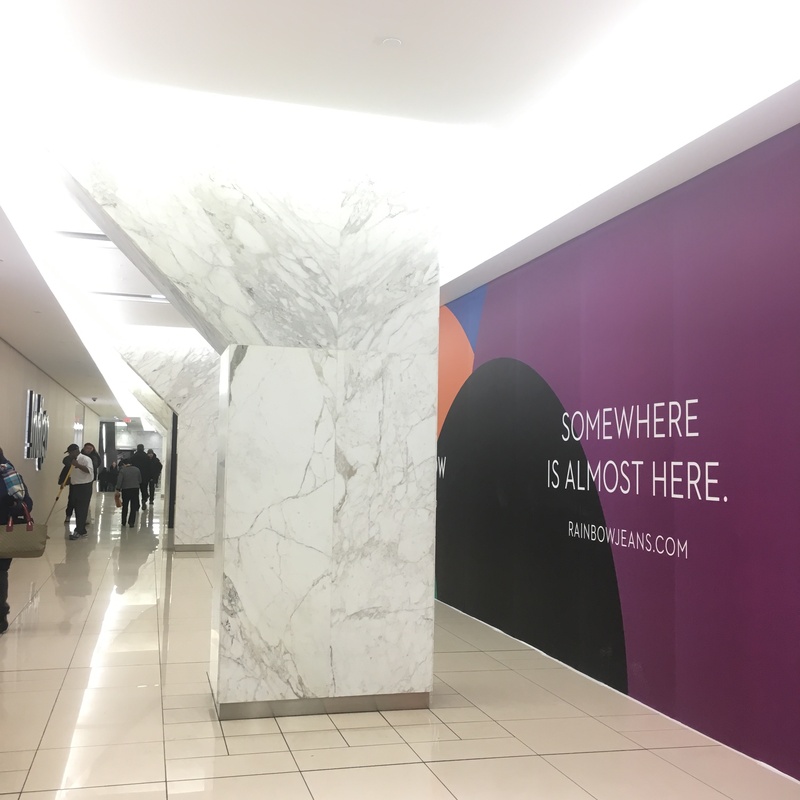 It seems like forever ago that we announced that Toronto’s iconic denim retailer would be opening at Manulife Centre, so we’re incredibly proud to say that “Somewhere” is almost here! Over the Rainbow will be making the move from their original Yorkville location to their new store on our Main Level across from Indigo this Spring, so stay tuned to our Instagram to hear about their official opening date when it’s announced! Toronto’s premier craft coffee roasters will be landing at Manulife Centre this Summer! Pilot Coffee Roasters will occupy the space our our Main Level across from Haartek, Petra Karthaus and Ron White Shoes, and will be Pilot’s first uptown location. 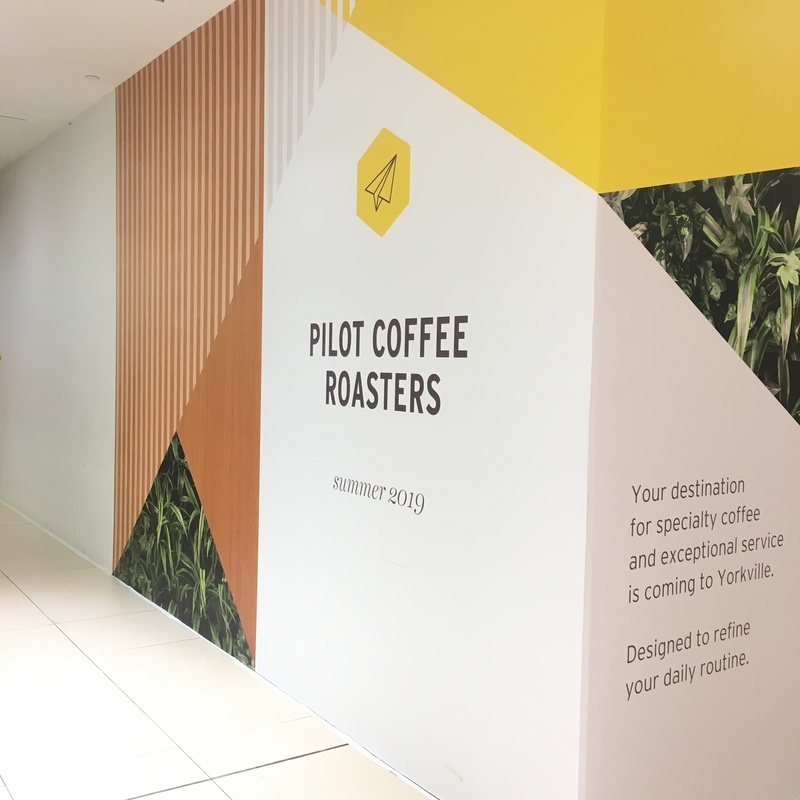 So Yorkville, get ready to add a little variety your morning (and mid-morning…and afternoon…) routine with premium, Direct Trade coffee from Pilot Coffee Roasters at Manulife Centre. 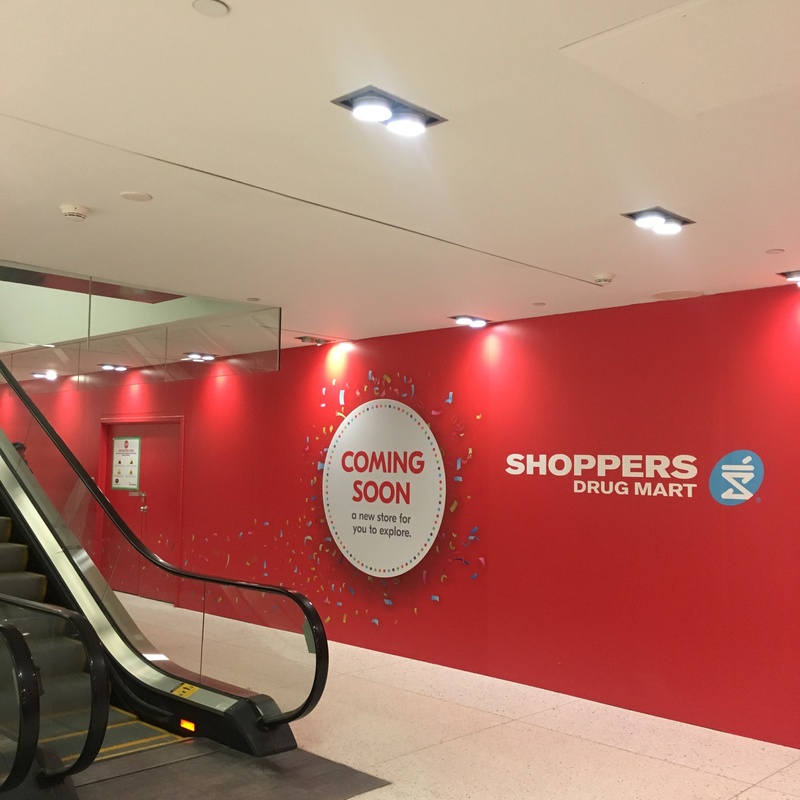 We’re excited to welcome Shoppers Drug Mart to Manulife Centre later this year to serve all of your personal health, beauty and pharmacy needs. You will be able to find them on our Concourse Level near the path to the Holt Renfrew Centre. Keep an eye out for their store opening in the coming months! Last but certainly not least is Eataly! If you have walked along Bloor Street in the last few months you will have noticed that the first Canadian location of this popular Italian restaurant and marketplace is definitely taking shape. There has been much anticipation over Eataly’s opening and we are excited that they will be set to open their doors in late 2019. For this and many other redevelopment updates, visit manulifecentre.com/redevelopment or follow us on Instagram, Twitter and Facebook.